"Honestly, it's been the best weekend of the year so far and I can't recommend the event highly enough"
Given that, we asked her to tell us more...and as she says, "What's not to like?!" An ironman over three days? A half ironman over three days? The option to pick-and-mix and do any combination of swim, bike and run. Hills, stunning views and Tour de France style crowds at the finish for all three disciplines. 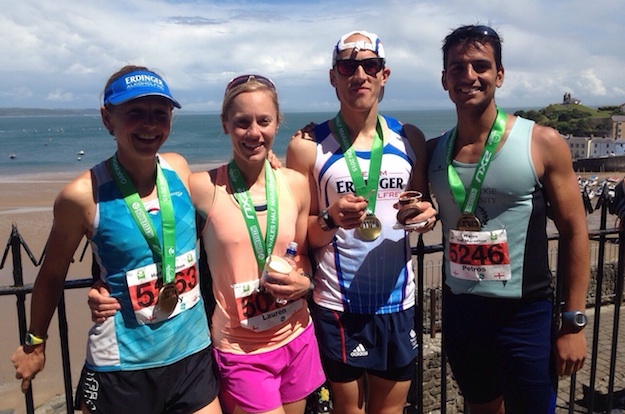 All based from a stunning seaside town in Pembrokeshire which welcomes triathletes with open arms. We even had sunshine and fish and chips. 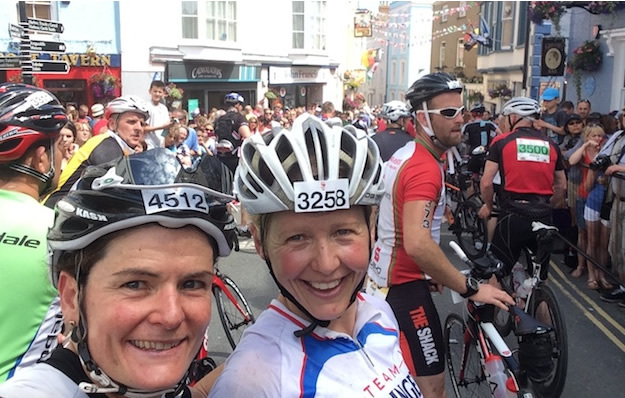 Last weekend I took part in the Long Course Weekend in Tenby. One of the best days of my triathlon career is winning Ironman Wales in 2013; the crowds and welcome from the locals were like nothing I'd ever experienced previously. To go back to somewhere from which you have such fond memories is almost opening yourself up to disappointment. It's hard to top something so special. Yet somehow the Long Course Weekend managed to be equally incredible. I'm not sure what it is about Tenby, but it's as though it's built for triathlon. The locals love it and get behind participants 100%. Everyone, from shop-keepers to road-workers to retired people on holiday, seem to view it as a festival and the whole town comes alive with a party atmosphere. Parys (Edwards) and I did some hill reps up the main climb on the bike route on Friday and were being cheered on by men doing some roadworks, who somehow ensured the lights were always green when we got to them! The race itself is a great concept. You swim on the Friday night, ride on the Saturday and run on the Sunday. There is the option to complete the full iron-distance over the three days (thereby classifying as a full 'Long Course Weekend' participant). Alternatively, you can do any combination of the disciplines, with shorter distances available, all on the same route. So, you can choose between a one (1.9km) or two lap (3.8km) swim (all starting in the same mass start); a 40, 70 or 112 mile ride (laps of the same course, start times dependent on predicted race speed); and a 10k, half marathon or full marathon. 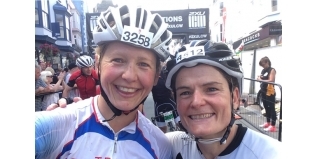 The bike is really a sportive; it's draft legal and like many sportives packs form, though these become increasingly dispersed as the relentless hills take their toll further into the ride. It's beautiful, hilly and tough. I guess if you want to race it properly you should take a TT bike but we had far more fun starting as a group together on road bikes. It's not often I get a chance to ride like a roadie - surging on the hills, accelerating out of corners, chatting on the flatter bits. And though it felt as though we were on a suicide mission for the first 60 miles or so, it turned out the consistent attacks hurt the boys more than the girls so Parys and I finished the ride with a solid time trial effort for the last 40 miles or so while they finished in dribs and drabs (sorry boys!). They have a KOM/QOM up the legendary St Brides hill in Saundersfoot, which those on the long route climb twice; a 30-40 second steep attack if you're good at that kind of thing. 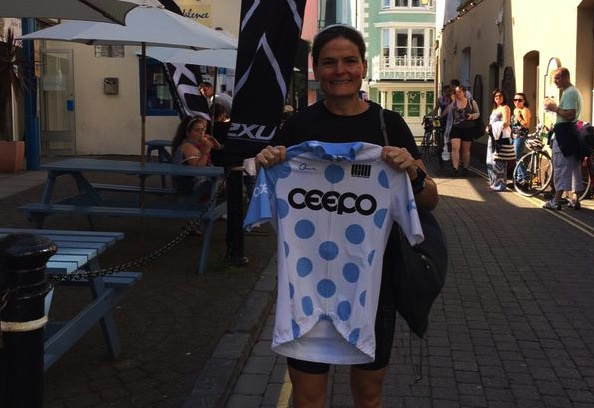 I'm rubbish at any kind of sprints but my smashfest partner in crime for the weekend, Parys Edwards, definitely isn't and I'm certain the crowds up that climb spurred her on to the QOM jersey. The only person I've met who climbs as well as her is Emma Pooley... and that's saying something! The atmosphere at the finish was unbelievable – the ride ends in the town centre, Tour de France style, and the route is lined with crowds, cyclists, music and cameras. The concept of the run is genius. The marathon starts first and picks up the half marathon (and then the 10km) en route. So, marathon runners are treated to parades through the streets at the half way and 32km points, as crowds of runners cheer their way from their meeting points in a castle (Pembroke for the half marathon, Manorbier for the 10km), to their retrospective starts; while those doing the shorter distances get to do their warm ups in castles. A pretty special way to start any run. For me the weekend was the perfect way to fit in a final few days of solid training before Ironman UK. I was tired going into it and doing any kind of sessions at home would have felt like a slog. As it was I got three quality sessions in the bank ‘for free'. It was training that didn't feel like training, work that didn't feel like work and actually just felt like pure, unadulterated fun. We swam as hard as we could, biked like lunatics for 70 miles and then time trialled 40 miles, and chatted our way around the half marathon just above Ironman pace. As a full-time athlete I relish the opportunity to be a participant every now and then, rather than worrying about my finish time and placing. It was the best training that I could have asked for and also the most fun. All five of the friends I was with would rate the weekend both as one of the best ever and one of the most challenging. That is pretty impressive given we're a bunch of people who have done a fair few cool events between us over the years. 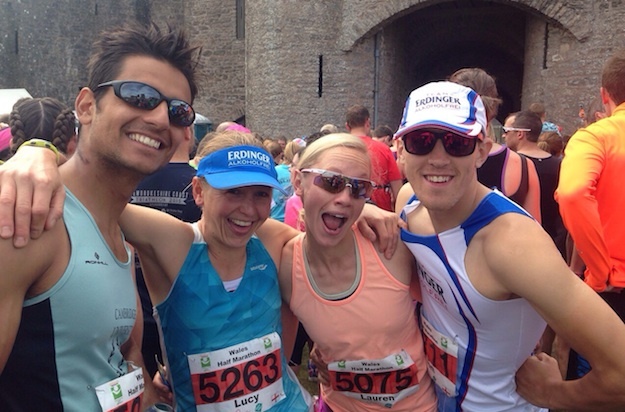 The Long Course Weekend is run by the Activity Wales Events team of just four people. I have NO idea how they manage to pull off such an incredible event, but they do. Honestly, it's been the best weekend of the year so far and I can't recommend the event highly enough. I know I'll be back next year! Apparently they're doing one in Lanzarote too in the winter (www.lcwlanzarote.com). Definitely something to think about!